During the Winter War in 1939, the masses of Red Army troops crowding into tiny Finland were met by a locally-produced sub gun that spoke 9mm with a universal translator. Finnish firearm wonk Aimo Lahti crafted his Suomi submachine gun in the early 1920s in .32ACP, and it was adopted by the Finns in 9mm as the KP/-31 using either a 50-round coffin mag or a 71-round drum, and finally a 36-round double. A simple blowback action in the open-bolt Suomi-konepistooli (Finn for or “Finland-Submachine gun”) kept the gun ticking like a clock while the 12.4-inch rifled barrel coupled with a one-piece wooden stock gave the gun an overall length of 34-inches. With thick milled steel parts instead of stampings and wood instead of plastics, the gun was heavy at just over 10-pounds unloaded. All that weight makes felt recoil in the Suomi a drean when compared to other SMGs. 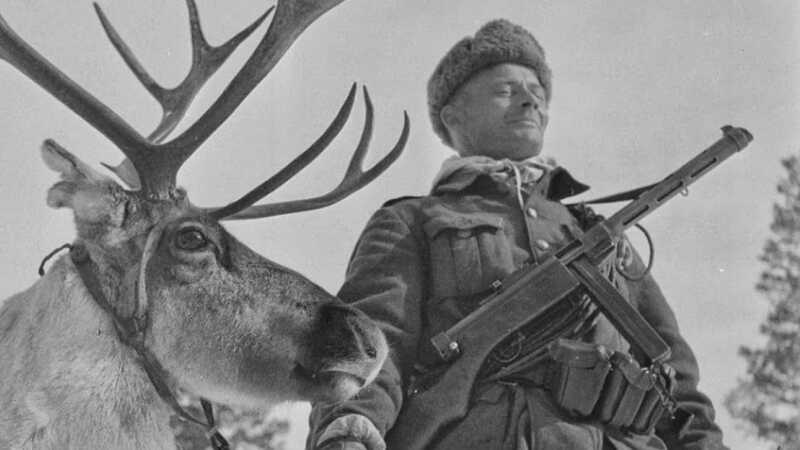 The gun was well-liked and really successful– so much that the Soviets copied the drum for their PPD-40 and PPSh-41 after being on the receiving end of the Suomi’s 900 rpm burst during the white hell of the 1939-40 Winter War. The guns were so popular the Finns kept them in service as late as the 1980s and they were widely used overseas. Besides the Finnish-made variants, Hispano-Suiza made a licensed copy of the KP31 as the MP43/44 while the Finns’ Nordic neighbor, Sweden, produced the gun in both 9mm Browning Long and 9mm para as the M37/39. Due to the Hughes Amendment, transferable Suomi’s that still are set to full-Helsinki run in the $20,000-range. However, there are lots of semi-auto versions floating around by TNW et. al, typically made from Suomi parts kits.